This photo of a mother and her daughter from Seven Valleys, PA was one of my favorites from the family portrait session. 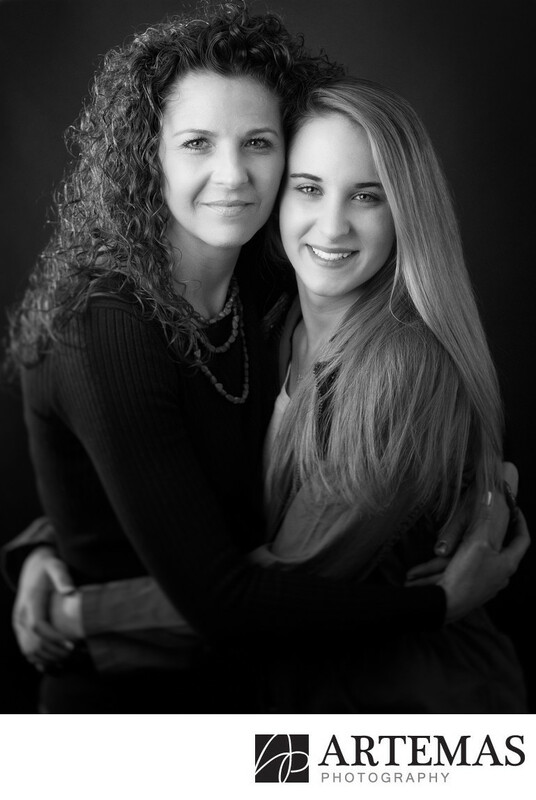 At the time of the portrait, the daughter was a senior at Susquehannock High School in Glen Rock, PA. Having them into the studio for a mother daughter portrait was an awesome time as they laughed like sisters and really embraced the session. This black and white portrait of them really shows off their faces and the bond they have. They came to my studio in New Freedom, PA and we spent about an hour and a half taking portraits of them together and individually.